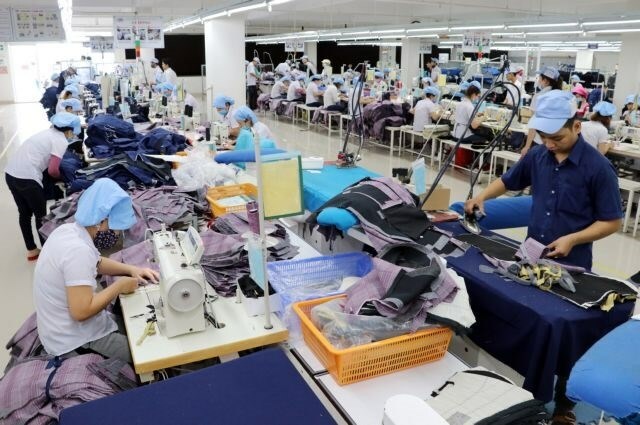 Workers make garments products at March 29 Textile - Garment Joint Stock Company in Da Nang City. HCM City (VNA) - Exporters should step up trade promotion to boost exports to Taiwan, which imports large volumes of farm produce and processed foods, according to Vietnamese trade officials. According to the Ministry of Industry and Trade, Taiwan is a promising market. Besides, demand from around 300,000 Vietnamese living in Taiwan also contributes to boosting bilateral trade. Tran Nhat Trung, Secretary General of the HCM City Food and Foodstuff Association, said there was still much potential for exports, especially of agro-forestry and fishery products. They were also regularly revised and modified, causing difficulties for Vietnam’s agricultural exports, they said. Nguyen The Hung, deputy director of the Vietnam Chamber of Commerce and Industry’s HCM City Branch, said besides ensuring product quality Vietnamese exporters also needed to provide all documents and certificates related to their products, including certificate of origin, quarantine certificate and results of testing for residual chemicals in agricultural products. With bilateral trade growing in recent years, both Vietnam and Taiwan rank in each other’s top 10 trade partners.